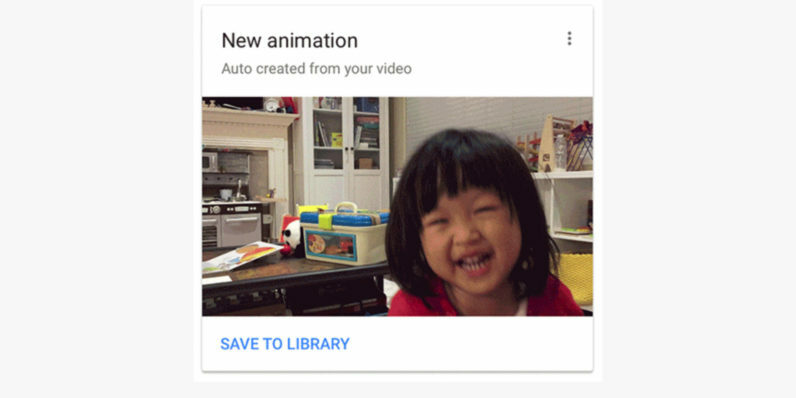 Google has updated its Photos service with a bunch of small but neat new features made by possible by its machine learning tech – most notably, the ability to automatically generate GIFs from your uploaded videos. Upload videos to the app from your desktop or Android/iOS device and Photos will create short looping GIFs of notable moments from your clips, which you can then share through your preferred social networks and messaging services. Google says its AI looks for ‘segments that capture activity — a jump into the pool, or even just an adorable smile’ to create GIF you’ll enjoy. It’s a neat addition to the app, which was already capable of stitching together burst photos into animations. That’s not all: From time to time, Photos will surface old pictures of people in your most recent uploads, as well as ‘highlights’ from each month. The app will also identify photos that you captured sideways and display them in a card, so you can choose to fix them all at once with a single tap. The new features are now available on Photos’ Web, Android and iOS apps.